Tim Smith was an Eastman police officer who, on Aug. 13, chose not to wear his city-issued bulletproof vest. And, it was a decision that would cost him his life. 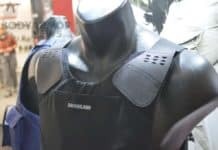 Becky Sheffield, the police chief for Eastman, said the vest was given out to every officer, but they could choose to wear or not wear the life-saving bulletproof vest. About 9:30 p.m., a 911 call came across the officer’s radio about a man pulling a gun on somebody at a Main Street intersection. Smith drove past someone who matched the suspect’s description and turn his blue lights on and turned his vehicle around. Smith told the suspect, known later as Royheem Delshawn Davis, to put his hands on the hood of the patrol car, telling him they needed to talk. When Smith got out of his vehicle, Davis pulled out his gun, firing it. The bullet hit Smith in the chest. Smith was able to return fire, but Davis got away. The father of three young kids died at the hospital later that night. He was 31. Smith’s death was the second Georgia officer to have been killed doing his job during 2016. In both cases, the officer wasn’t using their department-issued bulletproof vest, which could have saved their lives. Maj. Greg Barney with the Riverdale Police Department was killed after being shot during a no-knock drug warrant raid. Barney had been shot in the arm, leg, back and stomach. Both officers were working within their department’s guidelines in regards to the body armor, but since their deaths, both departments’ policies are going through a change. Their deaths, however, raised even more questions for the law enforcement community in Georgia. How many officers were not using their body armor? Are policies suitable for the more than 600 law enforcement agencies and thousands of officers employed? 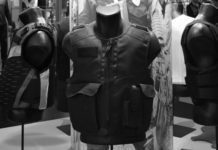 There’s no agency that keeps an eye on the amount of departments supplying a bulletproof vest to their officers or how many of them let the officers choose whether or not to wear them. And, smaller agencies will ask officers to purchase their own body armor. Eastman’s city government, with the assistance of a number of local civic groups, purchased all its officers body armor vests. Officers have been requested to use their vests, but no policy is in place that demands they use them. Larger law enforcement agencies have issued their officers body armor who are required to use it whenever on duty. And, this policy may have saved a young officer’s life in Atlanta after he answered a call at an apartment building and was shot at close range. The vest took the impact and, even though he was shaken, the officer was able to fire back and suffered just minor injuries. A majority of departments that do mandate patrol officers to wear body armor often exempt their command officers and staff performing administrative duties from wearing them. Maj. Barney worked with the Riverdale’s support services division and was authorized not to have to wear his protection gear. He’d went to a scene and never thought he be a part of the operation. According to Todd Spivey, the Riverdale police chief, Barney got too close – wanted to see what was going on and found himself face-to-face with suspects. One suspect, Jerand Edward Ross, took off running with Spivey chasing after him. He turned on Barney and shot at him. Barney was able to return fire and hit Ross, who weeks later died. Barney died at the hospital that day, leaving behind a wife and two sons. 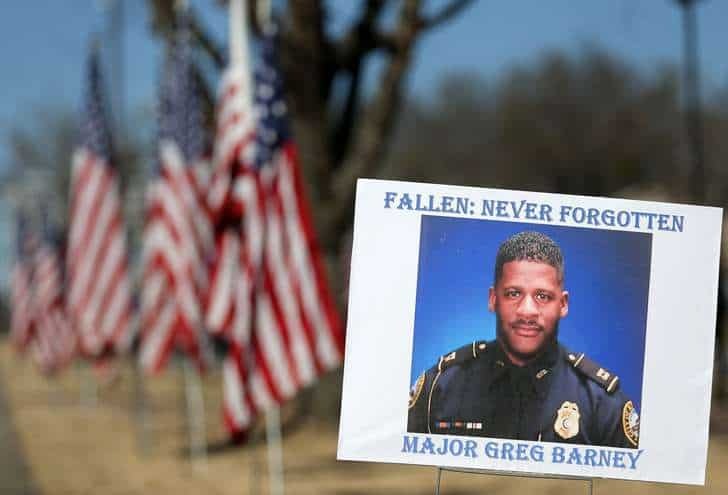 Barney’s death led to an increase in safety training and the implementation of a national training program known as “Below 100”, which would like to reduce the number of officer deaths nationwide to below 100. Roughly 150 officers are killed every year, with 58 percent of them being from gunshots. Spivey wears his vest on a daily basis, setting a tone for his agency. And, the shooting incident with Barney and the training has changed the culture of his department. The chief ordered all uniformed officers in the field must use their vest, no matter what their rank is. Justin Fong-Border of the Atlanta Police Department knows wearing his vest saved his life, as he was able to return to work shortly. He answered a prowler call on the northeast side of Atlanta around June 4. When he went to a door, the guy opened it and shot at him. Thankfully, wearing his vest, Fong-Borden survived. He said he treats the body armor as if it’s his uniform, wearing it no matter what situation he is called to. Fong-Borden said the body armor is like a little teddy bear or blankie – a symbol of comfort and he feels safe with it on. People are still mourning the loss of Officer Smith, and Chief Sheffield will never know or understand why he didn’t have the vest on the night he was killed. Since that time, however, all officers have been using their bulletproof vests. She said she’s looking at other law enforcement agencies to see what their policies are on body armor so that she can develop one for her officers. The 39-year-old chief began life in the department as a secretary, but the death of Smith has been particularly difficult. She said it’s something people don’t think about – bad things happening in small towns like this one. Sheffield said the entire ordeal has been traumatic for everybody. People are always thinking how they could have changed things and would it have mattered if things were different. She said she hopes that she’ll never have to deal with an experience like this one again.